Since there was almost no wind we had to create our own wind by letting out a lot of line and then quickly pulling it in. This also explains why the kite isn't wearing it's beautiful blue tails (2, one on each side). There simply wasn't enough (if any) wind. Zoals iedereen kan zien is ook Tremani met Tessa in de wolken! 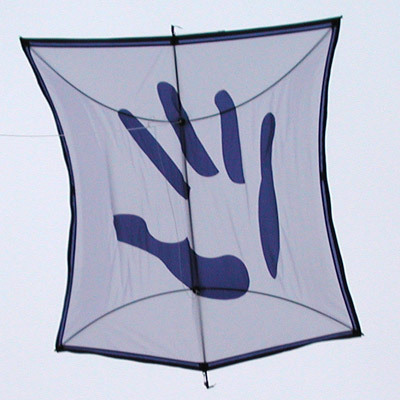 Although its design is rather quite simple, the kite is wonderful to look. I was surprise to know that it even flew on a windless day considering its huge size. 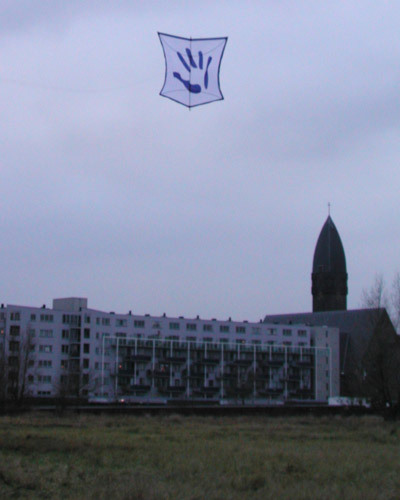 The image on the kite looks like a hair regrowth watching it from afar.